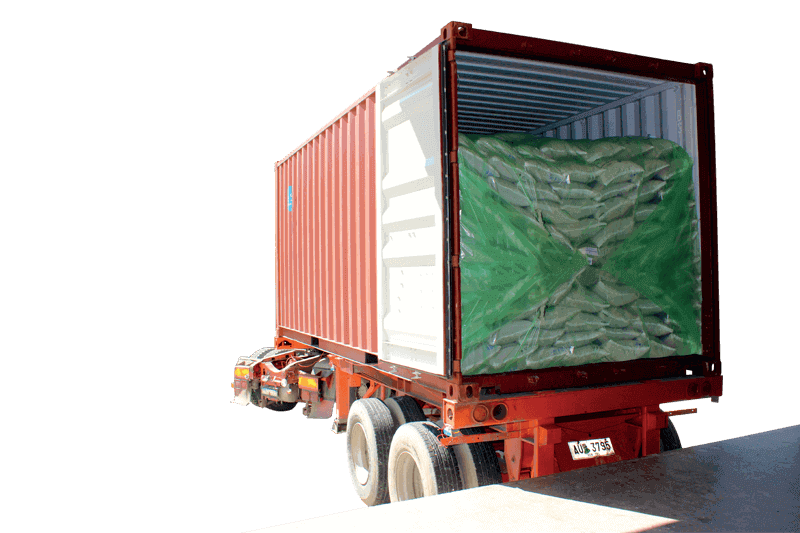 The GrainPro TranSafeliner (TSL) protects and preserves the quality of dry agricultural commodities placed in shipping containers. The TSL is made of high-strength polyethylene with proprietary barrier layer. Woven PE rope braces are also welded on the TSL for easy installation. It has excellent gas and moisture shielding properties which stops insect infestation, reduces the effects of condensation, and restricts the entry of moist ambient air which allows mold growth. 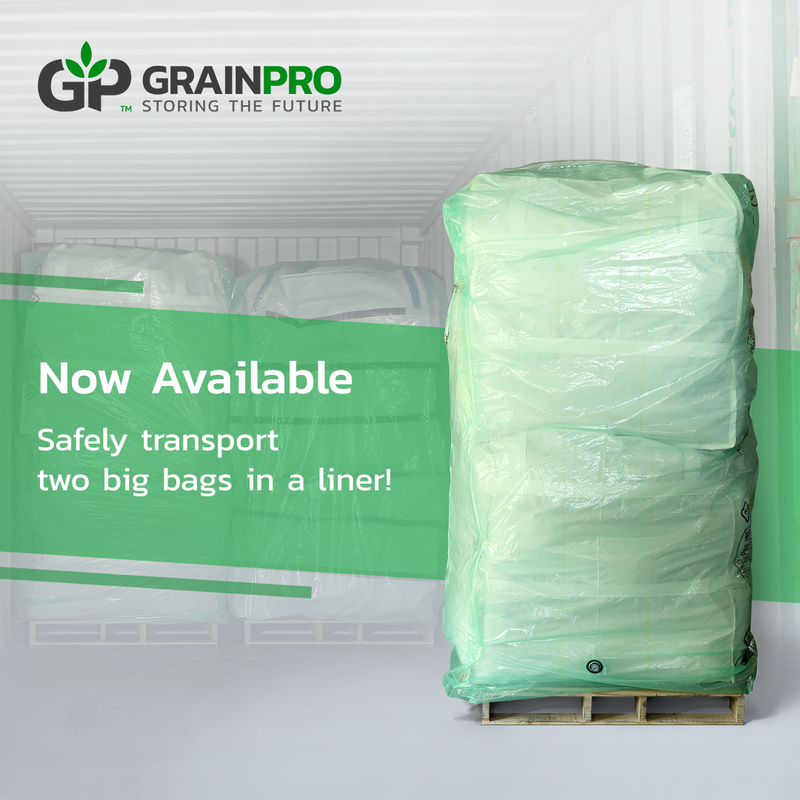 Stored commodities are safely preserved without losses of quality and quantity even during trans-oceanic transit or storage wherein commodities are stored in bags and placed inside the GrainPro TranSafeLiner.